David Cameron is going to be wondering about Boots in Nottingham today where he’ll announce the location of four of the new “enterprise zones”. There still seems to be a fair bit of confusion about what they are and how they’ll be different from the zones that Maggie Thatcher brought in during the eighties. “No one thought they were a howling success the first time round,” said Margaret Beckett to me last night, who has been around long enough to know. The key difference this time seems to be the “longevity” – local authorities will have the power to keep business rates from the zones for over 20 years. That means it’ll be in their interest to develop them, promote them and get as many businesses into them as possible. But the other problem with Thatcher’s zones was “displacement” – i.e. that businesses that were already in the area all jumped into the zone to get tax breaks leaving the area around the zone baron and robbed of its enterprise. It’s still not clear how they’re going to get around that problem, which is basically intrinsic to the nature of any “zone” scheme. Perhaps one of the bright sparks in Nottingham will put it to the PM today. 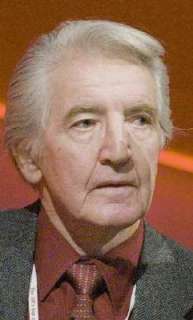 Normally interventions by Dennis Skinner MP, known as the Beast of Bolsover, are gnarly political points delivered with the thrusting vocal of left-wing days gone by. But the Beast highlighted an issue with deft precision in the Libya debate, still on-going, that I thought the PM did not give an apt answer to. He asked what the circumstances would be that would see us and coalition partners able to withdraw. In other words, what is success? The PM fell back on United Nations Resolution 1973, talking about protecting civilians. But while that may be the objective of the resolution it does not spell out what success looks like. After all, at what point can we consider civilians to “be protected”. Is it when Gaddafi stops his advance and sits still and says he will no longer attack rebel held cities? Assuming he held to that, it would mean civilians, at least those in rebel held areas, were no longer under threat from him – so we could then withdraw and dismantle the coalition operation. But of course it would be ridiculous to assume Gaddafi would not then start attacking again. Going on his past record, in fact, Gaddafi will not stop fighting to keep power. And while he does, civilians will remain under threat, and so British forces will have to remain engaged open-endedly. That is, unless Gaddafi dies at the hands of our forces. That may be the only way civilians are protected from Gaddafi in the ‘full-stop’ way the Government demands – in which case are we not practicing regime change here? That is the underlying vagueness masked in the apparently clear wording of the UN resolution – and it contradicts the comfort given by the resolution’s caveat that there should be no occupying force in Libya, a caveat which ensures some support in the Arab world. It has been legitimate for western powers to get involved in Libya, but people should not kid themselves about the very real possibility of a protracted engagement as long as Gaddafi remains alive.